What Is A Second DUI Offense? DUI IS AN abbreviation for driving under the influence. In Ohio, we use the abbreviation OVI, which means operating a vehicle while impaired. Other common abbreviations people use are DWI and OMVI. These abbreviations essentially mean the same thing. Most people associate a DUI charge with drunk driving, but driving impaired can also include illegal and prescription drugs. 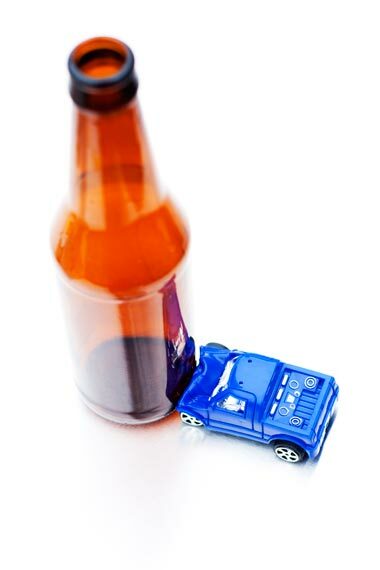 A second dui offense under the Ohio Revised Code means that you have had one other DUI conviction within the last 10 years and are now facing a new charge of DUI / OVI. This is the main look back period used in Ohio. A second DUI / OVI offense is much harsher than a first DUI / OVI offense. Under some city codes, like the City of Columbus, there is a lifetime look back for prior DUI / OVI convictions. The officer can charge you with OVI / DUI if you have a 0.08 level or higher on a breath test. You can also be charged if the officer witnessed signs of your driving being impaired and then determines that you failed the field sobriety tests. If your breath test is a 0.17 or higher you will be charged with a high test OVI / DUI charge that has a stiffer penalty than a regular second OVI / DUI charge. IF YOU ARE CONVICTED of operating a vehicle under the influence for the second time in the state of Ohio within the last 10 years, then you can spend anywhere from 10 to 180 days in jail. There is a mandatory minimum penalty of 10 consecutive days in jail. The minimum fine is $525 plus any court costs. Additionally, there is a 1 year minimum license suspension for driving under the influence. You can obtain driving privileges for work and school after a 45 day hard time suspension; though an interlock device and special plates will be required. If the car you were driving is titled to you then the vehicle is subject to a 90 day immobilization. Initially, the vehicle will be impounded and cannot be relocated until you get an entry signed by the Judge. Your vehicle will then need to be towed to your residence where a club will be put on it. If you are convicted of a high test second DUI offense you are looking at a minimum of 20 consecutive days in jail. There are also increased penalties if you refused the breath, or other test, or if you had a high test and you have had a prior DUI / OVI conviction within the past 20 years. Additional penalties include 6 points on your license and probation is likely as an alcohol assessment will be required. There is also a reinstatement fee due to the BMV to get your license reinstated after the suspension is over. Unfortunately, the current amount for this reinstatement fee is $475.00. INITIALLY, THE OFFICER will more than likely put you under an administrative license suspension (ALS). Your DUI attorney will submit a discovery request and take a look at any evidence the prosecutor has. This includes the police report, witness statements, and in many cases a video of the field sobriety tests (FSTs). Your DUI lawyer will properly evaluate the case and determine whether a Motion to suppress evidence can be filed as well. The officer has to follow certain guidelines when conducting the FSTs, and must have probable cause to pull you over. Also, the equipment that is being used, such as the breath test machine, must be working properly as well. ARRAIGNMENT IS YOUR initial court appearance. Cases can be resolved at this stage of the case if a plea bargain is reached. Your OVI attorney may be able to negotiate a stipulated reduction (i.e. second OVI treated as a first OVI), or other reduced charge such as physical control or reckless operation of a motor vehicle. If a plea bargain cannot be reached then a not guilty plea will be entered and the matter will be set out for another court date. PRETRIAL WILL BE your next court date if a not guilty plea was entered in arraignment. This is still a preliminary court date where your attorney will be able to obtain any additional discovery (any evidence they have against you), and talk to the prosecutor about the case. The case can be resolved at the pretrial phase if a plea bargain is reached. If a proper resolution cannot be reached then the matter will usually be set out for a trial date. THE TRIAL DATE IS usually the last court date for your case unless a prior deal was reached and the matter was set out for a sentencing date. At the trial date a plea bargain can still be reached without the need for an actual trial. If a trial is necessary, the trial would usually start in the afternoon depending on the Court’s schedule. Sometimes it is necessary and in your best interests to schedule a sentencing date. This date can be set at any stage of the case in order to give you time to complete certain requirements of your case. LEARN WHY THE DUI/OVI ATTORNEYS at Barr, Jones & Associates are the right choice for you to protect your rights and help you get your life back on the right track by calling us now for a free phone consultation. Our team works with prosecutors and Judges daily to help ensure our clients receive the proper representation that they deserve. We have handled many DUI / OVI cases and have an A+ rating from the Better Business Bureau. Call today to determine how the law firm of Barr, Jones and Associates can help you. Talk to an attorney at Barr, Jones & Associates LLP for legal representation today! DUI Checkpoints – Are they legal? Please fill out the form below and we'll get back to you immediately. Inquiries made after business hours will be answered the following business day.